This EPA-registered hospital disinfectant is highly effective against TB, MRSA and HIV-1 (AIDS virus). Additionally, it's tuberculocidal, virucidal, fungicidal and bactericidal. After cleaning and disinfecting, the formula helps prevent odors and the growth of mold and mildew. Because a hospital can be a hectic place, the convenient CFC-free aerosol can allows for a quick and easy application-a great tool for hospital cleaning services. 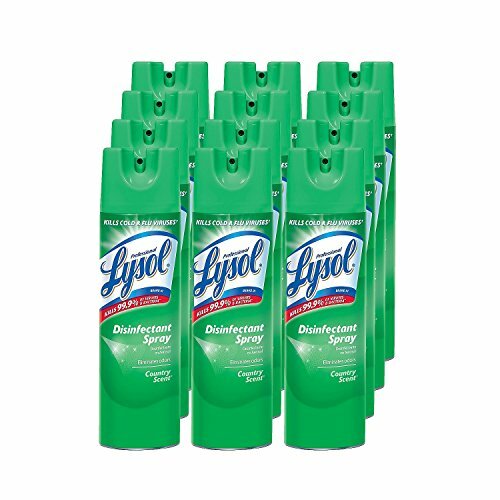 If you have any questions about this product by *Lysol, contact us by completing and submitting the form below. If you are looking for a specif part number, please include it with your message.